It’s called BYOD, or “bring your own device” to work, and it’s the way we operate today. Employees love it, whether they’re using a laptop, smart phone, or tablet to access their email and the corporate network. The upside of this new phenomenon? Employees are more productive and efficient when they can instantly and remotely access information from the field or while traveling. The downside? It’s crucial to safeguard the devices and accessibility, since employees rely on their companies to provide necessary security and liability safety nets. Then, if an employee inadvertently leaves his smartphone in a cab, the company is not subjected to major breaches of security. A number of challenges confront businesses managing mobile environments: keeping up with ever-changing technology, leading employees that don’t follow company policies, managing employee expectations, and juggling various mobile devices. Now more than ever, companies need solid solutions. Introducing DP Solutions’ mobile business service, offering custom-crafted workforce mobility solutions that securely connect your people to each other and to the information they need, whether they’re onsite or working remotely. Our cutting edge Mobile Device Management (MDM) monitoring, visibility, and security tools quash threats and risks from mobile devices while upholding your company’s policies and standards. Plan: Our mobility experts perform a thorough mobility needs assessment based on your business goals. 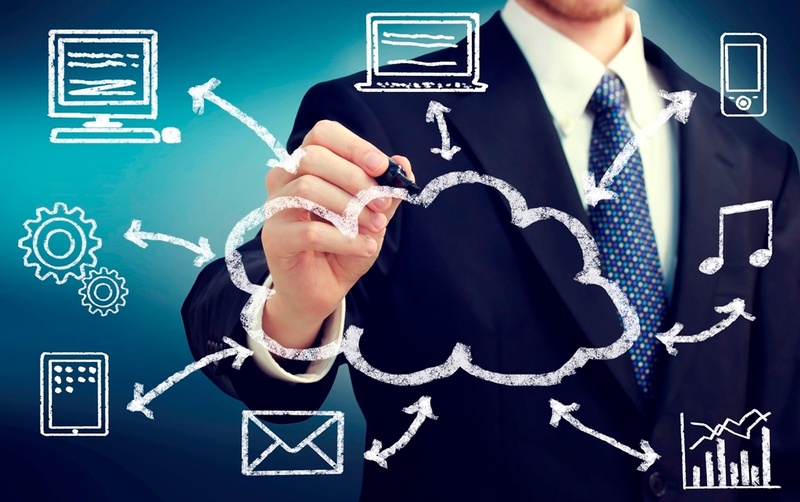 We create an integration and design strategy, recommend security policies and procedures, and plan for cloud, on-premise, or hybrid delivery. Build: For a secure mobile foundation, we design the mobile infrastructure, deploy cloud, on-premise, or hybrid hosting, activate a wireless LAN, create unified communications, set up secure access/network security, configure a remote desktop, protect against virus, spam, and malware threats, and implement backup solutions. 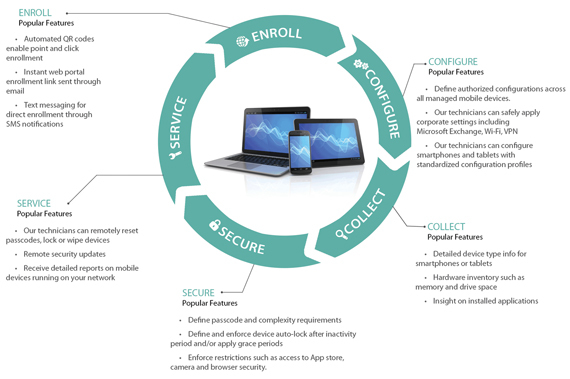 Manage: To maintain your mobile security and integrity, we integrate mobile device management (MDM), remotely enroll and configure devices, enforce policy, track devices, perform remote wipes and locking, restore devices, run maintenance, patch, and security updates, provide service desk support, and manage backup solutions. To ensure continuous integrity and optimal performance, we provide ongoing management and support of your mobile network and devices. Get comprehensive coverage for your MDM at a low monthly, per device fee. We include compilation of all relevant data, device security and services, and implementation of necessary policies and procedures for adequate management and control. If you’re not ready for the Complete MDM Service Plan, you can still take advantage of our mobile device management services. That’s how committed we are to securing and managing any mobile device with access to your network. If a mobile device is lost or stolen, we will attempt to locate the device, recover as much data as possible, and perform a remote wipe of any business and personal information for a one-time fee. Approved remote services will incur a convenience fee in addition to the established hourly service fee. Let's face it - not all IT providers are created equal. The question is, which one will give you honest, straightforward and ACCURATE advice? Download the report to learn. Read DP Solutions Blog to learn 10 tips to keep your email secure.